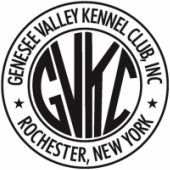 We support those looking to purchase a purebred dog by offering a phone number to call and talk to a club member. The number is 585-445-8468. Feel free to call this number with any dog related questions you might have. Below are listed the breeders from our printed breeder guide. At the end of the breeder listing is advertisements from businesses who support our efforts to produce a breeder guide. Please mention you saw the ad when doing business with these companies.